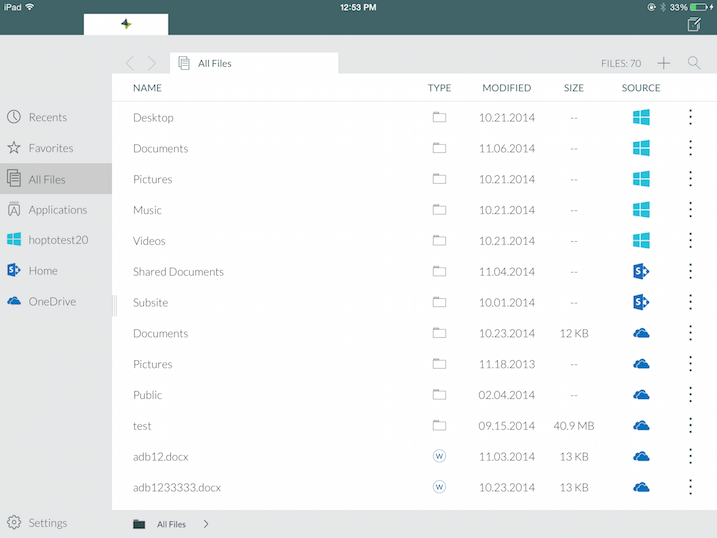 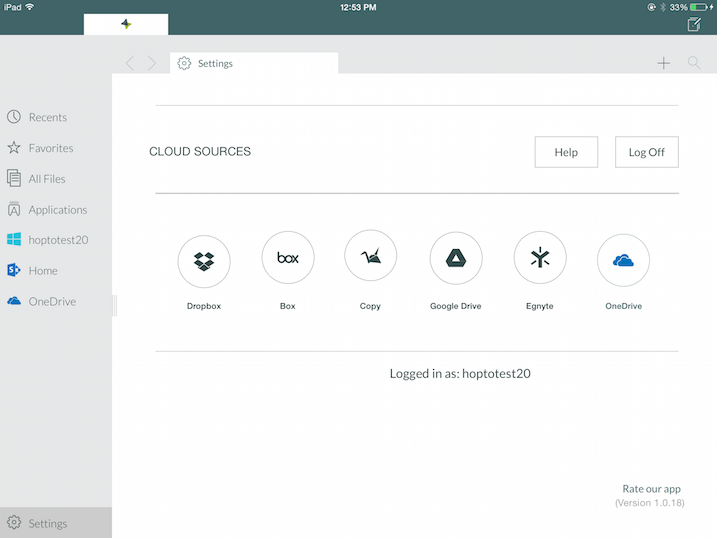 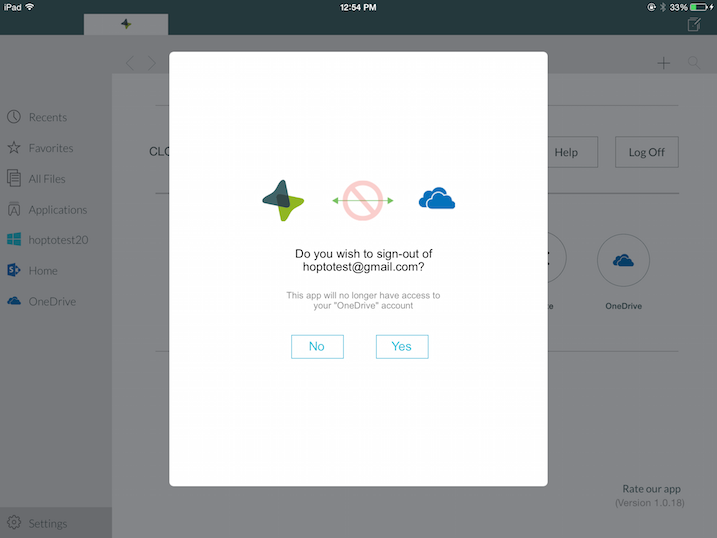 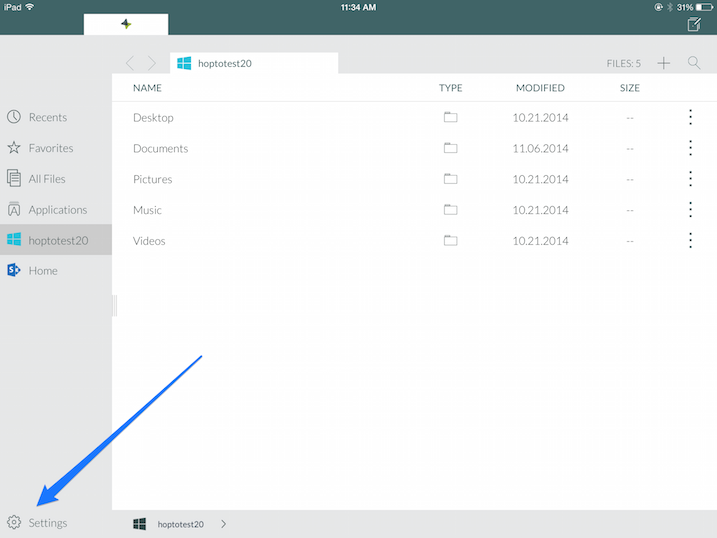 You can use the hopTo iPad app to access and edit documents that are stored in your OneDrive Account. 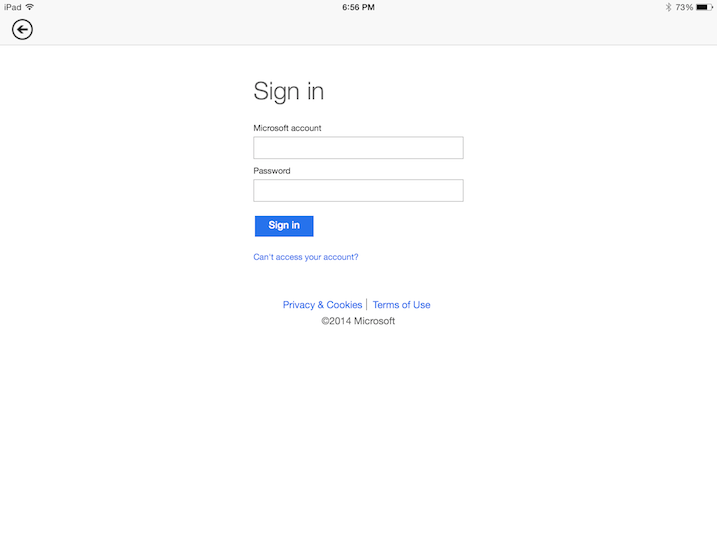 Enter your OneDrive credentials and Sign-In. You may be also additionally asked to confirm access for the hopTo application. 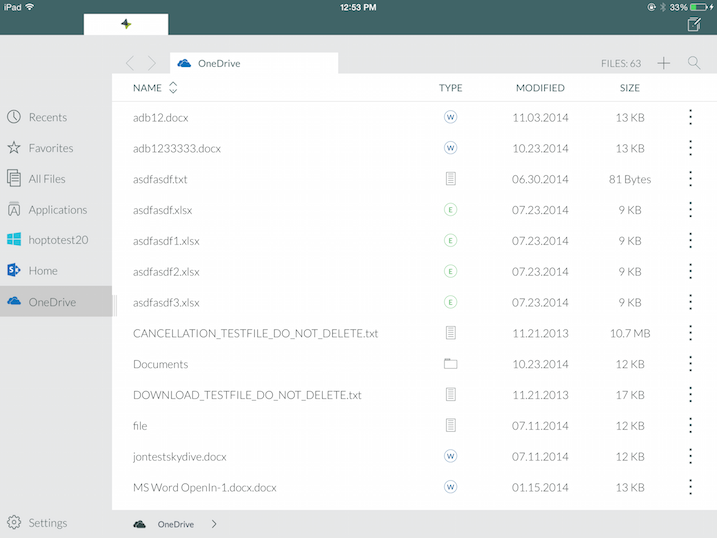 You can now access your OneDrives files by tapping on the OneDrive icon.